People don’t go to social media to get sold to so don’t sell. John and Nadya Melton share the the most important do’s and don’ts of social media. Also the 1 single action that got us to a 6 figure income. Who is John and Nadya Melton? 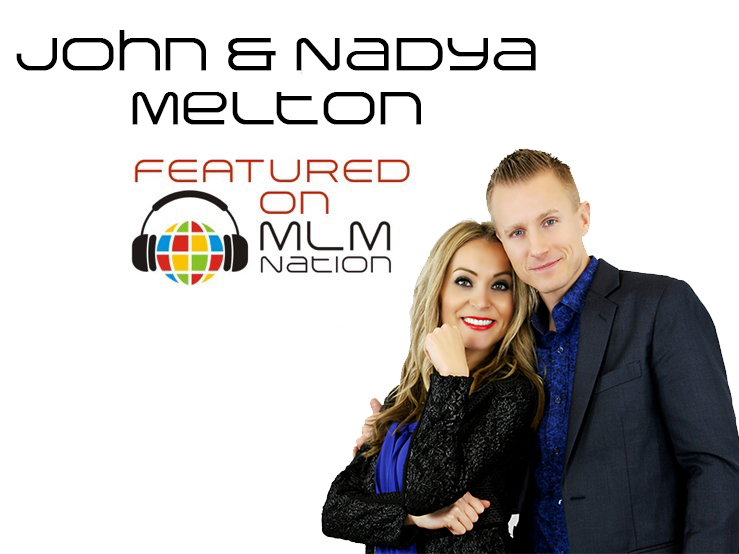 John and Nadya Melton are a power couple and back on MLM Nation! John Melton became an entrepreneur at the age of 20 and is now a world class entrepreneur. Not only is he a top MLM leader, he’s also a sought after seeker and a great online marketer. Since we last talked to John, he’s done an amazing job branding himself online and has become one of the best when it comes to recruiting through social media. Using Facebook alone and only a few hours a day, John has become the #2 recruiter in his company. Nadya Melton is an immigrant from Russia and started her entrepreneurial journey when she was just 19 years old. She built a successful MLM business and then eventually met her husband John in network marketing. Today, Nadya is a branding and marketing specialist and has done extremely well with live video. John, Nadya and their 2 kids live out in Baltimore, Maryland.